Can Landlord Reject a Tenant Who Smokes or Drinks? Q: Can I reject an applicant because they smoke or drink? Generally you can reject a tenant for any sort of behavior so long as you are not violating discrimination rules. 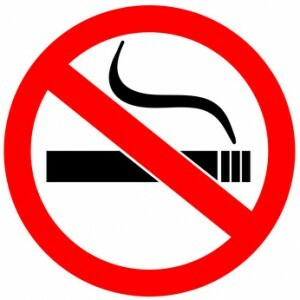 There is a common perception that landlords must accommodate smokers. But are smokers protected by discrimination rules? Courts in the U.S. have made it very clear that cigarette smokers are not a protected class with regard to fair housing rules. In fact, several have entertained lawsuits against landlords for renting to smokers. First, it is best to have an official “no-smoking” policy before you reject individual applicants who smoke. For instance, your lease agreement could provide this restriction and spell out the consequences for violating it. The corresponding rental application could then ask whether the applicant is willing to forgo smoking on the rental property. Ask every tenant the same questions. Without a uniform policy, the suspicion arises that a landlord could be stereotyping certain tenants, which can lead to discrimination claims. It is also important that you enforce the nonsmoking policy if you have promised current residents that you are screening new tenants for smoking. To be effective, the nonsmoking policy needs to lay out specifically what is prohibited, for instance smoking in the units, balconies, common areas. It may be more effective to restrict large gatherings of drinkers – like “kegger” parties that draw complaints from other residents. A landlord is not allowed to reject tenants on the basis of perceived or existing disabilities. If a landlord rejects an applicant because he or she believes the applicant has a drinking problem, that could be discrimination. Landlords need to steer clear of tenant screening questions that would uncover past addictions or medical treatment for alcohol-related diseases. Instead, place well-worded restrictions in your lease agreement or tenant policy statements regarding the present-day behavior you want to limit, and ask the applicant if he or she is willing to abide by those rules. As far as the alcohol restriction.. that works everywhere but Utah.. It is legal to prohibit drinking or even cooking with alcohol, and you have little to no legal recourse, since the establishment (judges, officers, etc) have a mormon super majority, so even legally, the deck is stacked against you.